The Code of Conduct requires that we specify certain aspects of our professional costs and the way we will do the work before we may do any legal work and before you agree to pay our fees. You are entitled to be notified of any substantial change to the matters stated in this disclosure document as soon as is reasonably practical after The Firm becomes aware of any such change. You are entitled to negotiate an agreement for the legal costs of the work that we will do for you. – the disbursements we incur on your behalf as set out in this document. Unless otherwise stated all amounts do not require GST. This is an agreed sum concerning the work only and does not include any additional work, which will be charged at $95 per hour. This sum does not include Visa Application Charge. (ii) All work done in response to unreasonable or repeated requests for information concerning the work. (ii) 50% of our professional work to be paid prior to lodging the applications. A tax invoice for payment of the agreed costs is provided to you. We will not lodge an application or finalize the service with The Department of Immigration until payment has been made in full. We expect to incur in disbursements in doing the work as per the attached Expenses Invoice. 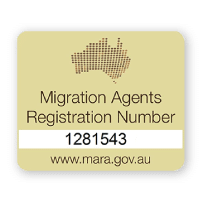 PLEASE NOTE: Department of Immigration application fees are current as of date of this agreement & may increase before your application is lodged. You will need to pay the relevant application fee applicable at the date of lodging your application. We will inform you of any such changes as we become aware of them. We are not obliged to give a refund if you terminate our costs agreement. In accepting this agreement you specifically acknowledge and consent to this arrangement. Section 313 of the Migration Act imposes an obligation to provide particulars of the service to be rendered and the charges to be levied in respect of those services. As this is an agreed sum in the current case and you agree that the fee is reasonable, the requirement for a statement of services and ‘particulars’ does not import a requirement for an itemised account to be prepared on a time costed basis. In signing this agreement you agree to receive, in full satisfaction of the section 313 requirements, a tax invoice in general terms particularising the general rather than the elements of the specific services to be provided to you or services that have already been provided. You may contact our office by email at info@portaleaustralia.com or at +61 8 9388 9193. We will give you 7 days notice of our intention to terminate our agreement. We are not obliged to do any of the work during that period. If either of us terminates the agreement, you must pay our total legal costs up to the date of termination. If our total legal costs are fixed or agreed then you must pay that part of our legal costs which we estimate has been incurred up to termination. You agree to pay our professional costs for doing the work. We may retain your documents until all of our professional costs are paid or subject to the receipt of an undertaking from your new Registered Migration Agent to meet our professional costs within a reasonable period of time. You may accept the terms of this agreement in writing or by signing, dating and returning this costs agreement. We can then do the work.